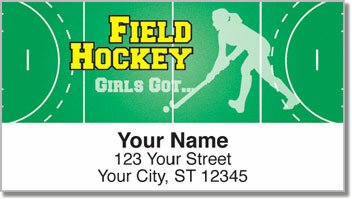 Stick the fun of field hockey on every piece of mail with this original set of return address labels from CheckAdvantage. 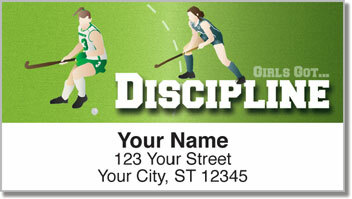 It's easy to find designs featuring the well-known sports - but where else will you find checks and labels illustrating a unique game like field hockey. 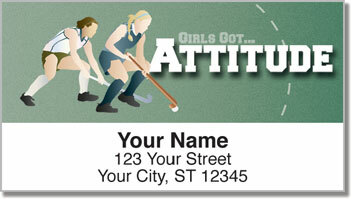 This selection focuses on women's field hockey, which is most prevalent here in North America. While the sport has been played around the world for centuries, many in the U.S. have yet to discover this fast-paced competition. But to the rest of the world - field hockey is just hockey. It's ice hockey that's different. What you'll love about these labels is the self-adhesive backing. That makes the chore of preparing letters and packages quick and easy. Just peel and place! 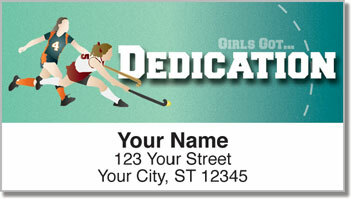 Order your very own Field Hockey Address Labels today! Matching checks and checkbook covers are also available.